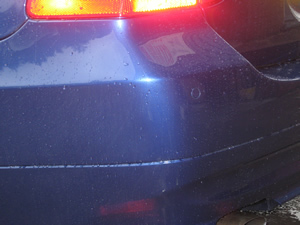 We can repair splits and scuffs , even if you think your bumper is beyond repair, minor scuffs start from £60. 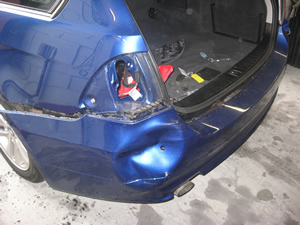 Please bring your car down and we can help with the repairs. You won't necessarily need a new bumper. 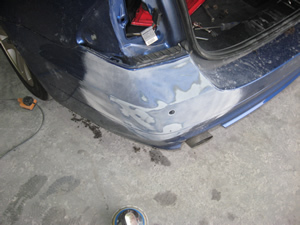 We may be able to repair the damaged one which is usually the cheaper option. 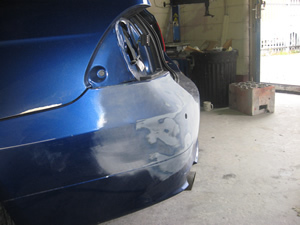 As you can see from the animated pictures to the right the bumper repair process which is undertaken to give you the finished product repair. 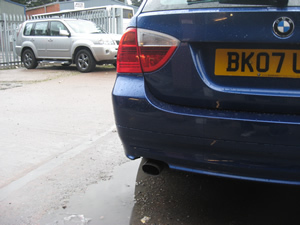 Worried you will be without a car while it is being repaired? 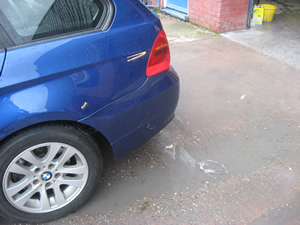 Please don't worry we offer a courtesy car so you will not be inconvenienced.